Storyline: Patch sets up to fulfill his dream of making a new dog food that everybody will love. This pursuit requires sacrifices and he is ready for them but what he doesn’t know is that he has to give up the most important things in his life. Ultimately, he has to choose: is it going to be his dream coming true or is it going to keep his happy life and all his loved ones? 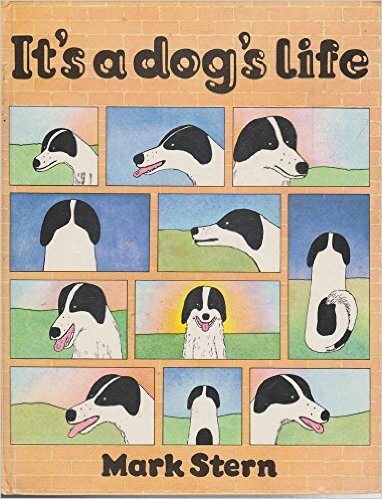 One night, Patch, who is a dog from a large and happy family with a shy girlfriend named Honey, dreams about Choc Joy, a delicious food, that pours from the sky, abundantly. Realizing that he can make his dream come true (and a lot of money on the side) he embarks on a long journey, secretly followed by Honey, to Bulldog Foods Ltd to present his idea to the company’s chairman. There, he meets Bulldog Major who loves Patch’s idea and starts the production of the new dog food. Patch is given an office where he sat and watched as his idea was transformed into a huge market success. Dogs all over were eating the Choc Joy. Special transportation had to be invented for delivering the food to avid consumers. Bigger better factories were built. Major became very rich and moved to a mansion. Patch was brought in and put on a leash on a large office with a red telephone to sale the product. By this time, Honey, who was trying to reach Patch, found out where he lived and asked to see him. But she was turned down. Eventually Patch found out and, very angry, went on strike. But Bulldog Major didn’t need him anyway so he threw Patch out of the mansion. Now he was as poor as he started, but happy nevertheless going back to Honey and his new found freedom. Illustration: Mark Stern is also the illustrator of this book. His drawings are clear and simple with a fine touch on blending the colors to create details. The sky is particularly well done in all his scenes. The page arrangement resembles a comic strip and every one of them has a flawless path that draws readers further into the story. Overall, a great book… that is out of print with very few copies available. How many stars would you give this book? See the votes bellow.